Greetings as we celebrate the 70th anniversary of the Foundation of the Alphonsian Academy. 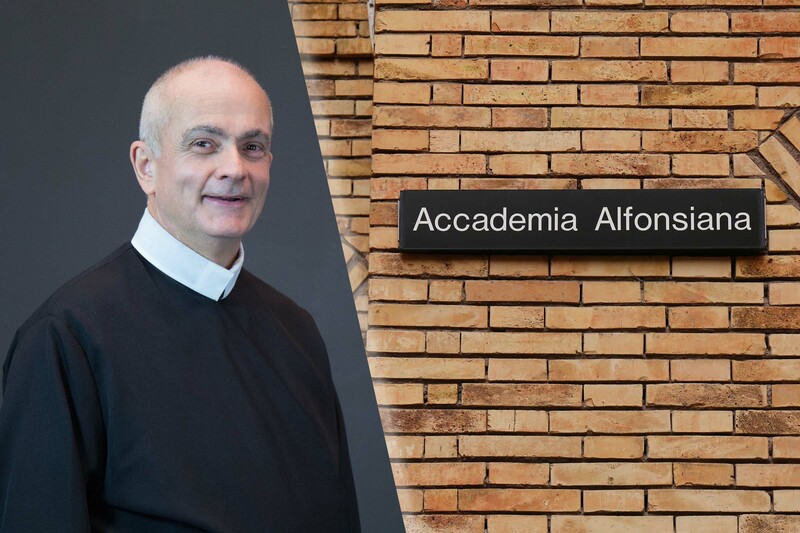 For the past 70 years, the Academy has devoted itself to the research and teaching of Moral Theology, in the spirit of our founder and father, St. Alphonsus Maria Liguori, Moral Theologian and Pastor, Doctor of the Church and Patron of Confessors and Moralists. St. Alphonsus wrote that he learned his moral theology primarily from hearing the confessions of poor country people. It was his life-long commitment to the abandoned, and especially the poor which formed and shaped his missionary spirit. This commitment urged him to continue to research, to study and to write on moral theology, as Founder and Rector Major of the Congregation of the Most Holy Redeemer, as the bishop of Sant’Agata dei Goti, and even after his retirement to Pagani. His concern for a pastoral moral theology at the service of the abandoned and the poor permeated his spiritual and doctrinal works, as well as his praxes for confessors, missionaries, bishops, and pastors. For St. Alphonsus, the study and teaching of moral theology was a service not only to the Congregation but especially to the whole Church. Not only did his work help prepare Redemptorist Missionaries for their ministry of preaching, reconciliation and pastoral guidance of people – his research provided concrete assistance to bishops, pastors, confessors, and seminarians. In this spirit, the Alphonsian Academy continues this tradition in our age. In fact, one of the fundamental ministries of the Academy is the preparation of professors of Moral Theology who will prepare the next generation of pastoral ministers – seminarians, religious, and lay ministers – for their service to the People of God. More than 5,000 men and women have studied with the Academy since its foundation – a remarkable contribution to the mission of the Church in the spirit of St. Alphonsus. We give thanks for the contribution that each one has made for the sake of God’s people. When Fr. Leonard Buijs, C.Ss.R., Redemptorist Superior General, founded the Alphonsian Academy on February 9, 1949, he implemented a decision of the 1947 General Chapter of the Congregation to continue this tradition so vital to the Redemptorist Charism. The Academy would research, study and reflect on moral theology in the context of a changing cultural and historical reality. The XXIV General Chapter (November 2009) reflected on the mission of the Alphonsian Academy today. Then-President, Fr. Martin McKeever, invited the Capitulars to face the challenges confronting the Academy and this ministry. 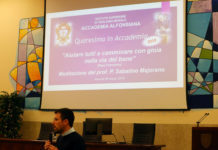 His presentation provoked a reflection on the necessary and mutual relationship of the Congregation of the Most Holy Redeemer with the Academy, which involves the professors, the Redemptorist and other students. The XXIV General Chapter subsequently declared that. “The Alphonsian Academy is one of the common apostolates and priorities of the Congregation with which all Units must collaborate generously and effectively.” (Decision 13) In November 2016, the XXV General Chapter affirmed: “Continuing the moral tradition of St. Alphonsus and the Congregation is a priority of the Congregation. 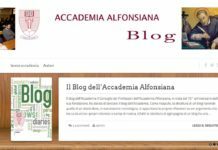 Among the common apostolates which continue this tradition is the Alphonsian Academy, as well as other institutes in different parts of the Congregation, that promote study, research, writing and the preparation of moral theologians.” (Decision 14). Regular courses leading to the License and Doctorate degrees. The journal Studia Moralia with articles for study and reflection, which is available online as well. Moral Theology Congresses, which are open to the confreres, and often to graduates of the Academy. Individual professors from the Academy who are willing to offer talks, workshops, or short courses in different parts of the world. These have been very helpful for renewal of clergy and pastoral ministers, and for reflection in common on important and current questions. Celebrating 70 years of research and teaching in Moral Theology is also a celebration of the Redemptorist professors and others who have given their lives to this mission. Although it is dangerous to name any particular professors since all have made important contributions, we cannot forget the invaluable contribution of some who have now preceded us to the eternal banquet, such as Fathers Capone and Vereecke, Häring and Hitz, as well as the many others too numerous to mention, who have formed this body of Professors committed to excellence in Moral Theology. On this anniversary, we give thanks for all the professors, collaborators, Redemptorists, and benefactors who have continued to contribute over 70 years to the mission of the Academy. Missionary and pastoral experience convinced St. Alphonsus of the importance of Moral Theology as an integral dimension of the Charism of the Congregation of the Most Holy Redeemer. He devoted time, study, and enormous effort to his Theologia Moralis. His spirituality is founded on a deep conviction that the Christian moral life is based on and shaped by the practice of love of Jesus Christ and uniformity with the Will of God. These lead to sanctity. For St. Alphonsus, moral theology is not merely an independent theological discipline, but a vital and integral praxis for the effective proclamation of the Good News of ‘Copiosa Redemptio’ in Jesus Christ – and this proclamation is directed to the salvation and liberation of the whole human person, especially the most abandoned and the poor, and to the building up of Christian communities who live the Good News of the Jesus Christ and work for the full dignity of the human person, and for justice, peace, the integrity of creation and the care of our common home. May the wisdom and commitment of St. Alphonsus inspire us to continue his vision of study, research, teaching and writing on moral theology so that all who are called to redemption and holiness may find the inspiration and hope they need in order to do God’s will in all things. As we celebrate his feast with joy and hope, let us follow the example of his life with confidence and fidelity. May our Mother of Perpetual Help always accompany us.